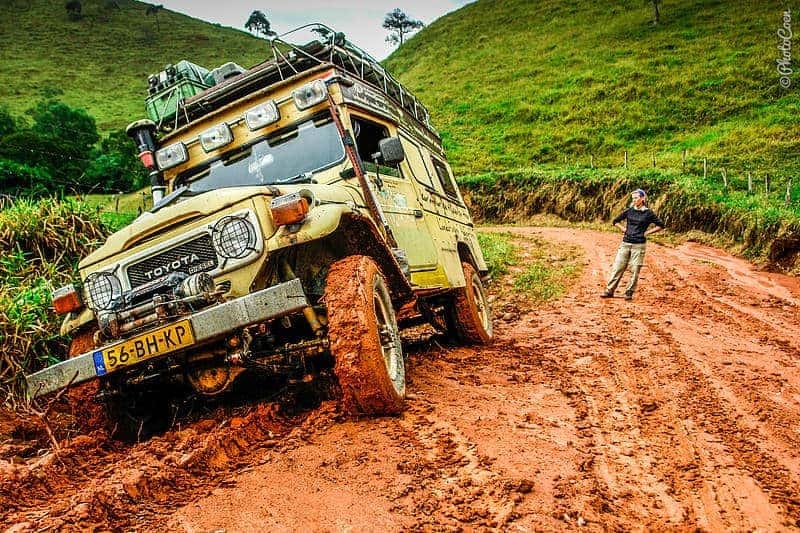 So you drive a 4×4, with added goodies such as a winch, hi-lift and maybe a compressor. Most of the time you will not use these extras, or even engage the 4×4 function of your vehicle. But you should. Frequently, even. Let me tell you what I discovered last week. 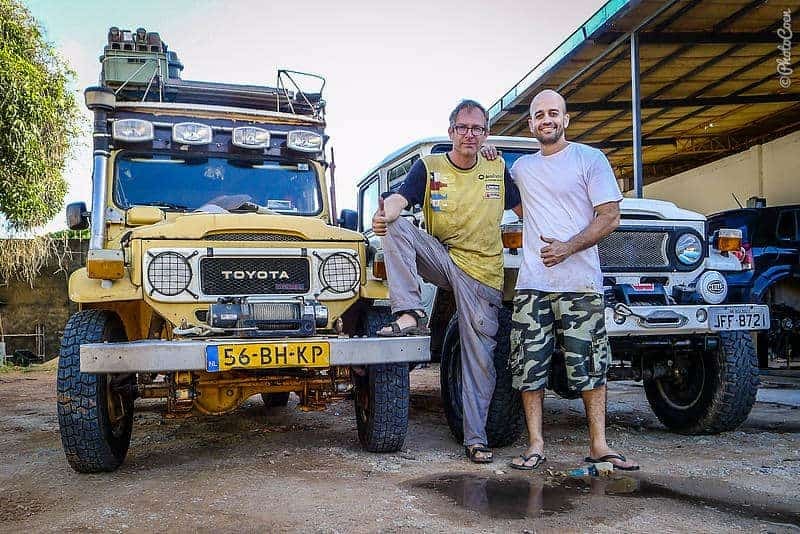 We were camping at our friend Elmer’s place in Boa Vista (north Brazil). We had just returned from our annual trip to the Netherlands and had brought some tools and goodies with us that needed installing. Luckily Elmer and his father have a great gusto for tooling on cars so we drove to their workshop and worked on numerous things. In the past we had some security issues with our winches. Like the night we went for dinner, after which we returned to our camping spot. As we drove I heard a strange noise but ignored it. The next morning I found two meters of cable behind the Land Cruiser. Kids, we assume, had played with the clutch lever the night before and had free-spooled a few meters of cable. 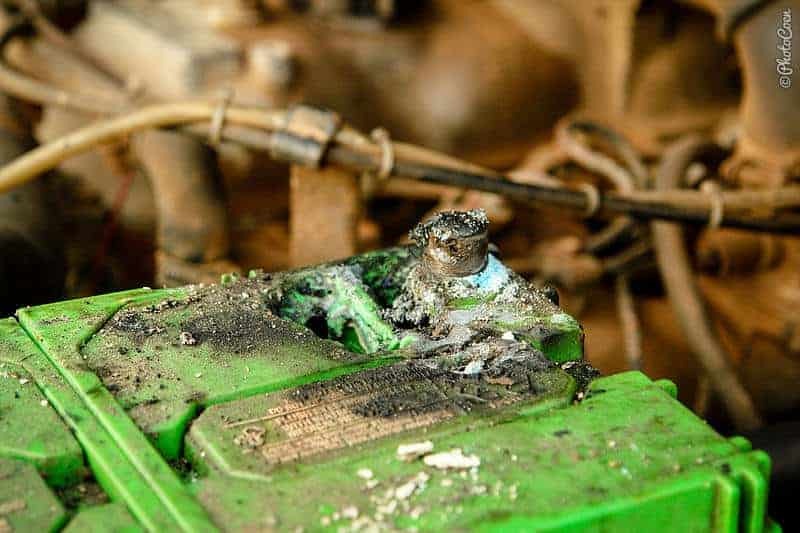 Another tricky moment was the result of five years of cable rubbing: big sparks while driving and a melted battery. All because the positive lead was connected straight to the battery. This made me install a kill-switch near the battery. I’ve wanted to modify the clutch lever for years, so nobody can free-spool the cable, and that’s what got me to my recent discovery and, as a result, this blog post. I had made a prototype of a tamper-proof clutch lever a couple of months ago in Ecuador and installed it. I drove around for a while to test it. At one point I noticed a cracked O-ring under the bolt I had made, which was not the way it should be so I re-installed the original clutch lever. I asked my friends of 4×4 Service Valkenburg if they could give me an identical clutch lever so that I could make the modifications on that one. I met Dennis on our annual Overland Reunion event where he gave me a Warn clutch lever [as well as some heavy-duty engine mounts]. Fantastic! When I was changing the levers, however, I discovered that they are not identical. I needed to improvise to seal the top properly. Unfortunately, in this remote Brazilian Amazon I can’t get stainless steel washers, so I’m holding off the project for a moment [to be continued in the future]. After I had reinstalled back the original clutch lever once again, I checked its movements. No movement! Nada, zilch, noppes… Nothing. The thing was not budging at all! Elmer concluded that the winch had probably not been used very much. Yes, I confessed, we have had this winch (find it here) for two years now and we haven’t needed it. The grease must have dried out. We took apart the clutch section and found it full of caked grease and even a couple of rusty spots. The latter, I think, is the result of that cracked O-ring I talked earlier about. During that time we traveled in the Amazon region where we had some pretty fat rain over the months. I now assume that some of it must have gotten into the clutch of the winch. We soaked the clutch section in diesel for the night, wiped and cleaned it, applied new grease and reassembled it. The result: a clutch smooth as silk. According to the manual we should have stretched the cable when we installed the winch but we had never gotten to it. In good spirits Elmer and I decided to do it now. Better late than never. 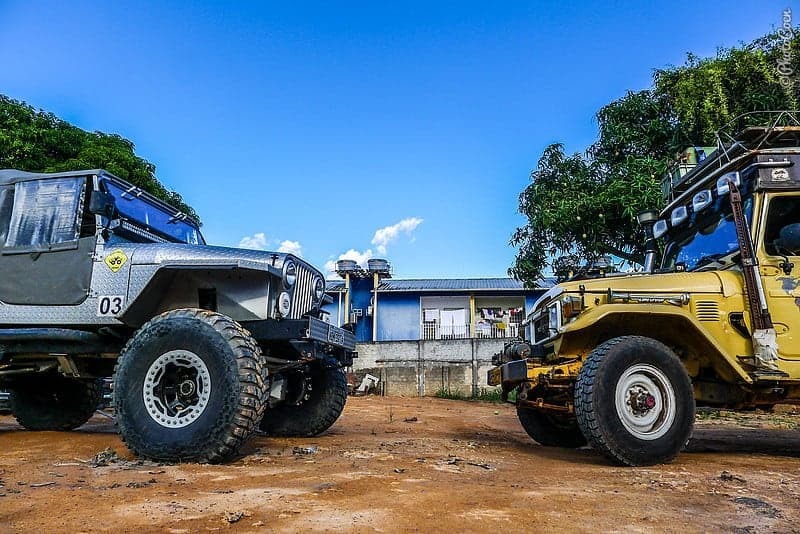 We lined up Elmer’s famous home-build Jeep ‘Crocodillo’ on one side and the Land Cruiser on the other side of the workshop’s terrain. We free-spooled the cable until there were five wraps left on the drum. Attached the remote. Turned the key on the kill-switch. Started the engine and let it run just a little over idle with the hand-gas handle. I hit the winch-in button. “Wow, that looks like a serious problem, my friend,” some bystander noted. I got my multimeter (find here) and measured the voltage between the battery and the winch. The source of the problem was the highly robust Hella kill switch (this is what it looks like). For some odd reason it wasn’t letting any juice through. I disconnected the switch, cleaned the terminals and the inside with ample contact spray until it worked again. I assume that the elements affect the functioning of the kill switch as it sits on the outside of the vehicle. After all this we spooled the cable on the drum without further issues. In hindsight, this has been a great learning experience and I am glad it happened at a place where I have a knowledgeable friend and all kinds of tools. Had we been in the middle of nowhere, it would have put more tension on the situation. Preventive maintenance is what we need. I will admit it’s not exactly my forte. 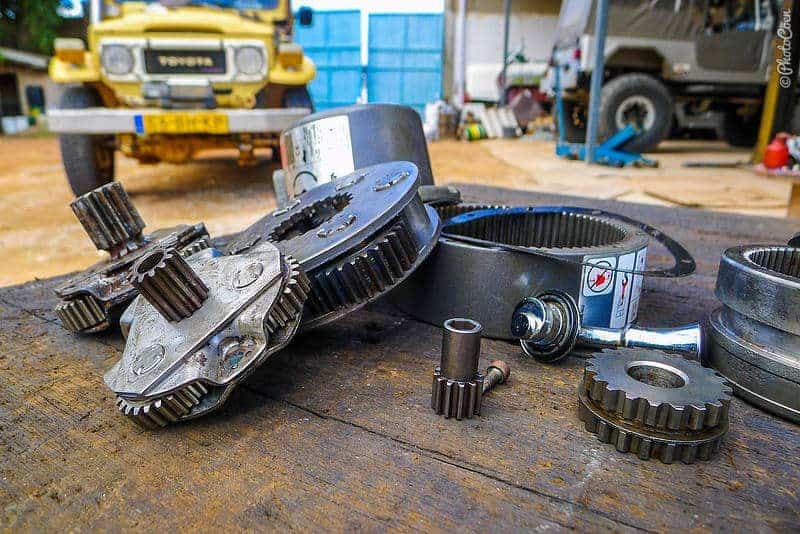 If a winch isn’t used much it will degenerate, it will not lubricate and grease dries out and seizes the mechanics. Or worse, moisture will get in and rust the complete innards of the winch. Of course, maintenance goes for other stuff as well. Like the Locking-Free-Wheel Hubs and the front-end of a part-time 4WD system. I am learning the hard way and I hope this post may save some of you that lesson. Regularly checking to see if your stuff works can save you a lot of headaches when the need arises. 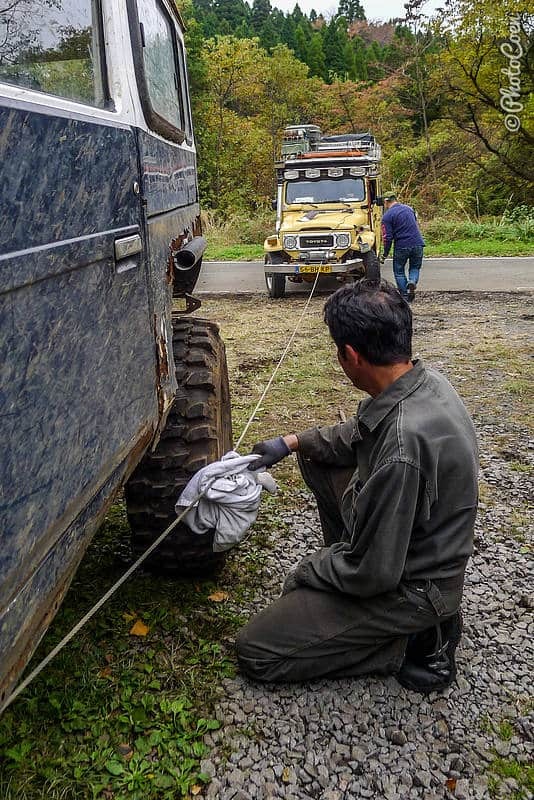 Using our winch every few months [read more about preventive maintenance here]. Engaging the 4×4 and/or the locking hubs once a month [more on that here]. 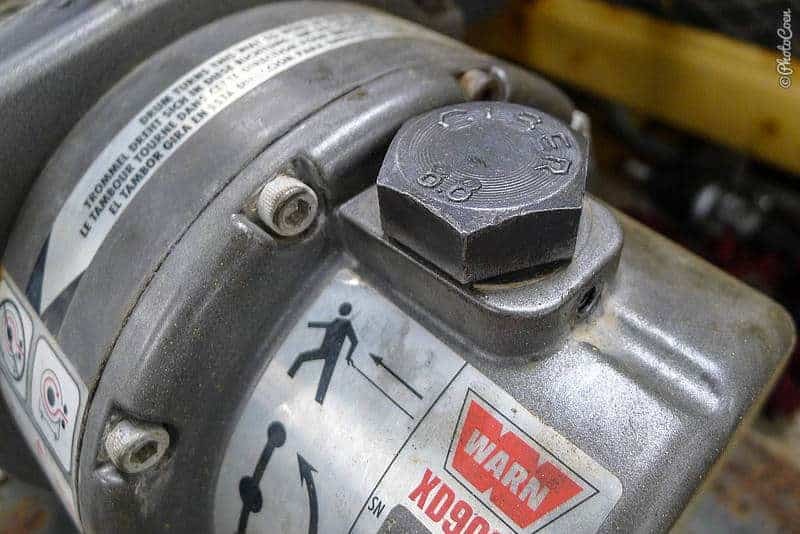 Running our air compressor every few months. Let me know if you have more handy tips on this subject in the comments below. Auxiliary Diesel heaters (like the Eberspächer) should be run every 3-4 months, otherwise the glowplug might not work anymore and the heater won’t start. Thanks for the reminder Coen. I rarely ever use the 4WD and need to lock my WARN hubs and run it up a couple of mountain roads to keep everything sorted out. Coen, I learned something from racing bicycles in a group, you are either moving up or you are moving back, there is no “sitting in”, or relaxing. Same with equipment maintenance! Avanti!